The most talked about bull of 2008! 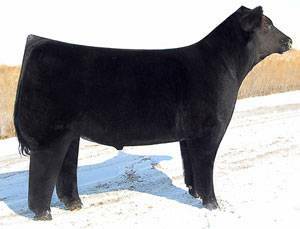 I am Legend sold for a record-breaking $83,000 in the fall of 2007 straight out of the pasture. Very rarely does one bull combine such a tremendous amount of muscle, mass, and bone and still remain incredibly sound. I am Legend could possibly be one of Heat Wave’s greatest sons. With the muscle, style, soundness, and hair this bull possesses he is sure to be a legend one day just like his sire.